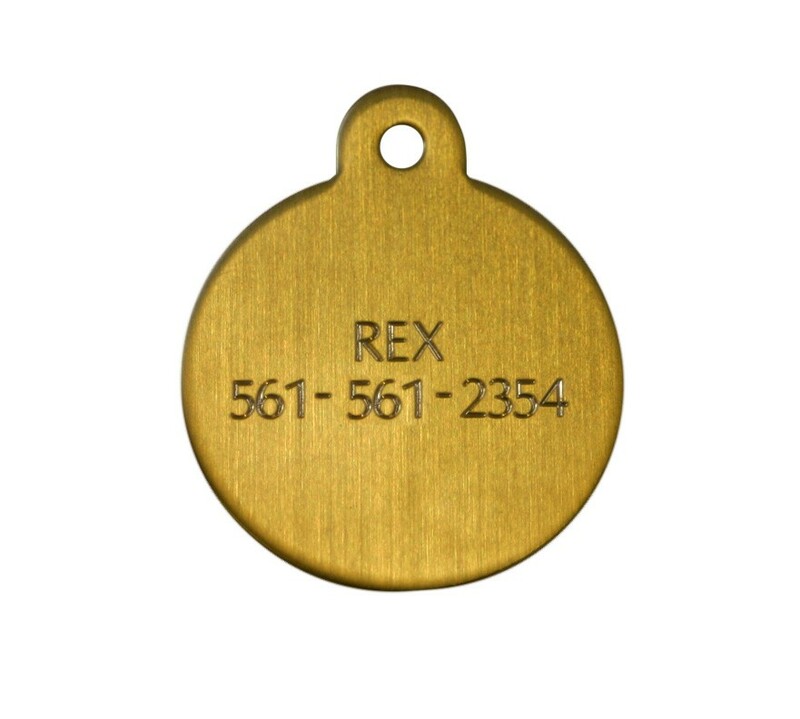 Brass Circle Engraved Tag - Large. 1 1/4" Diameter. For dog Collars and marking tack. Comes with S-hook.